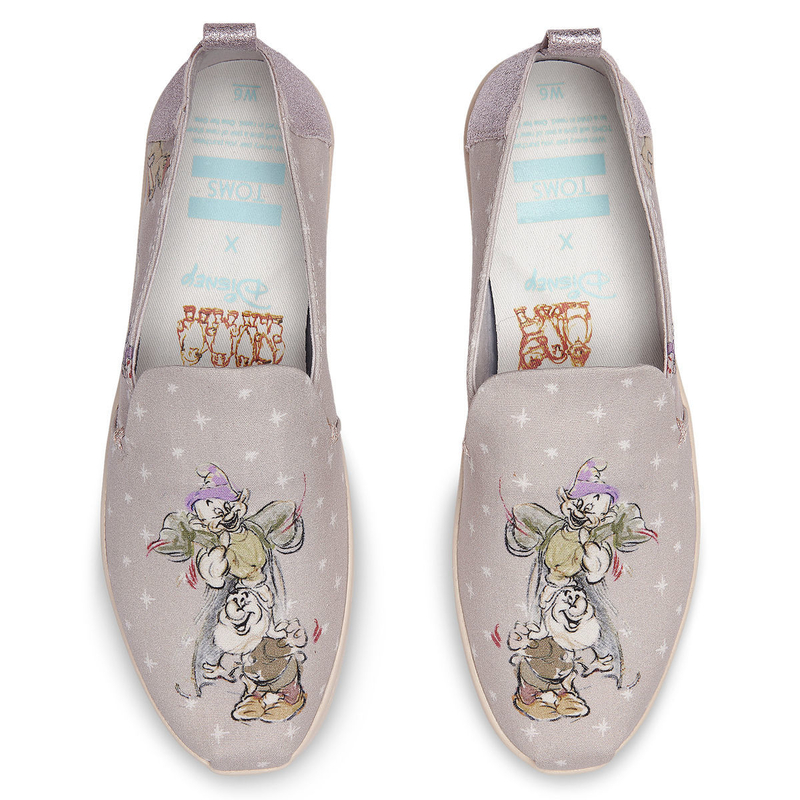 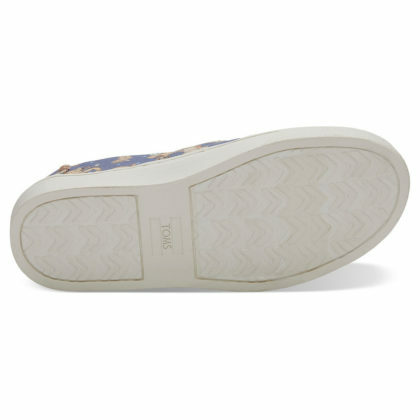 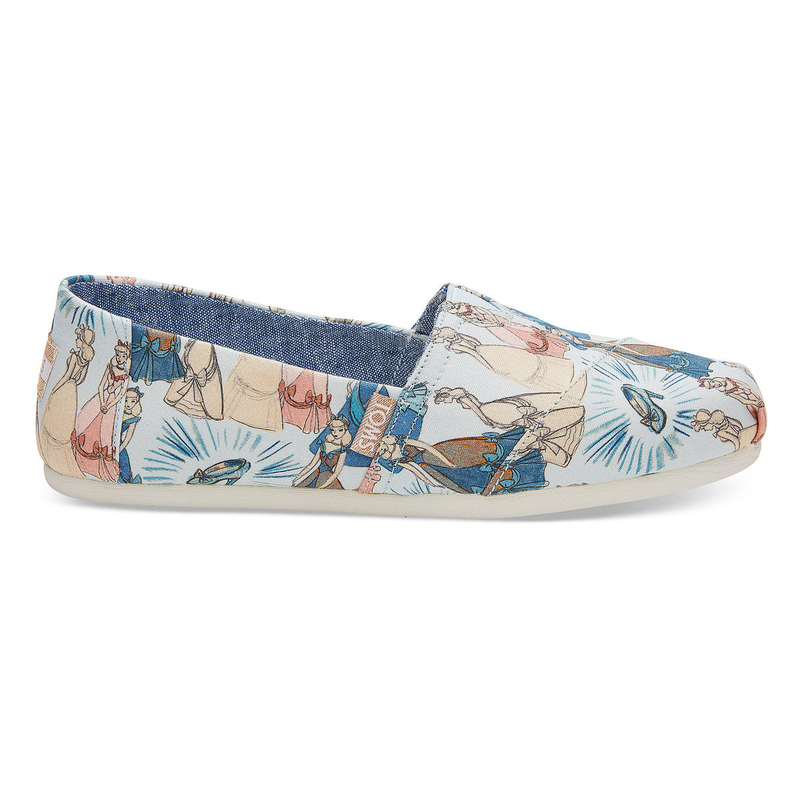 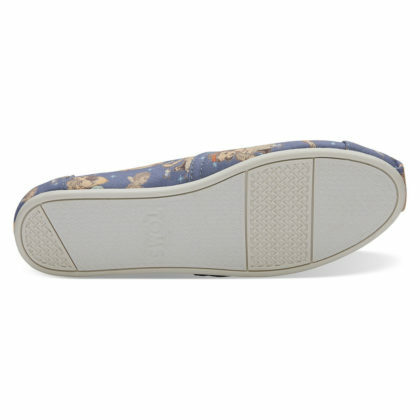 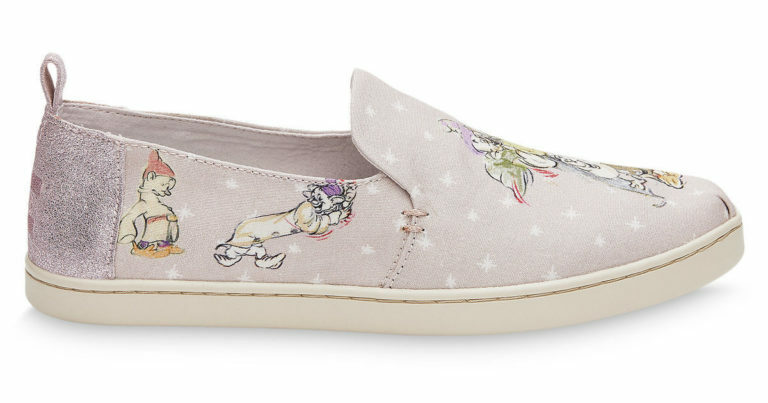 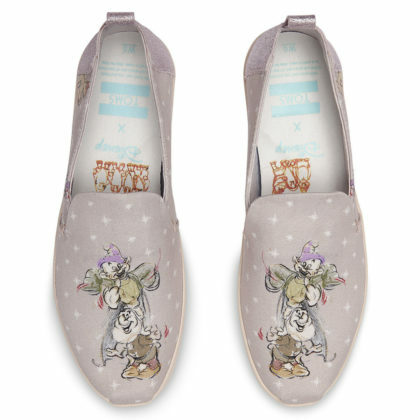 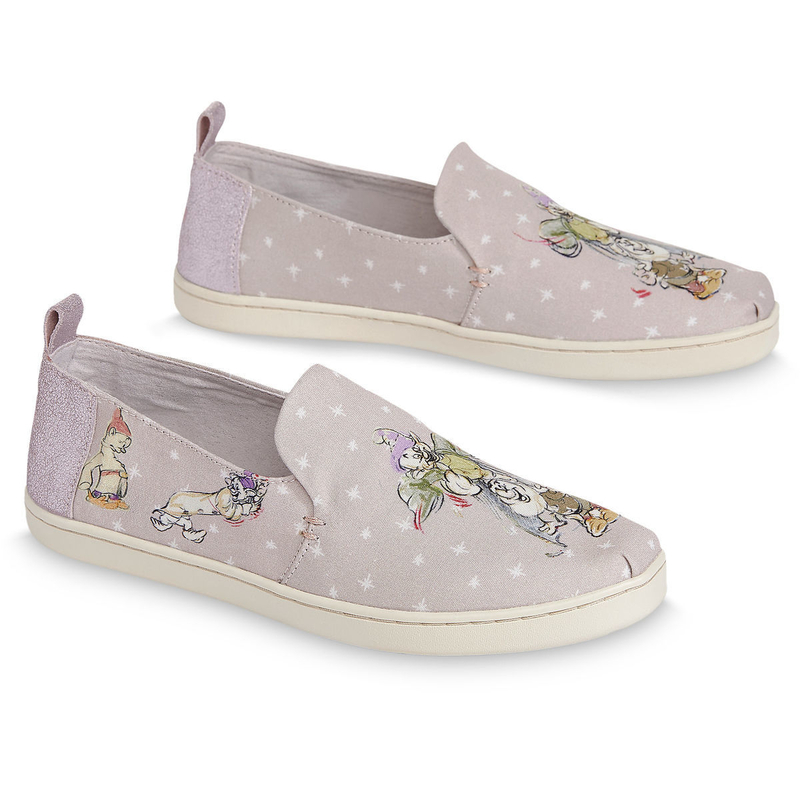 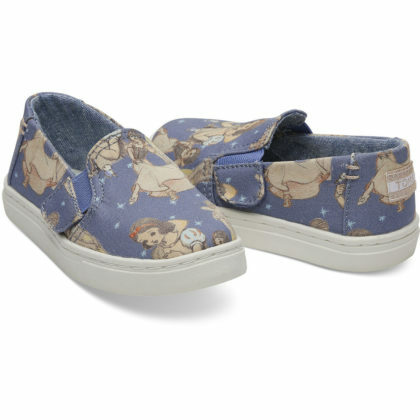 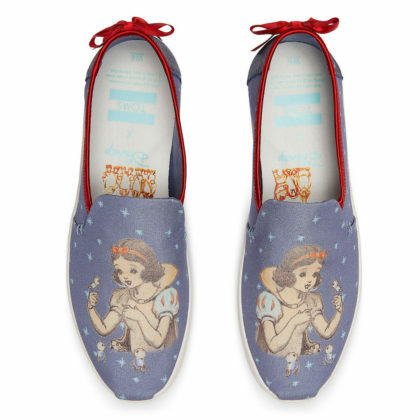 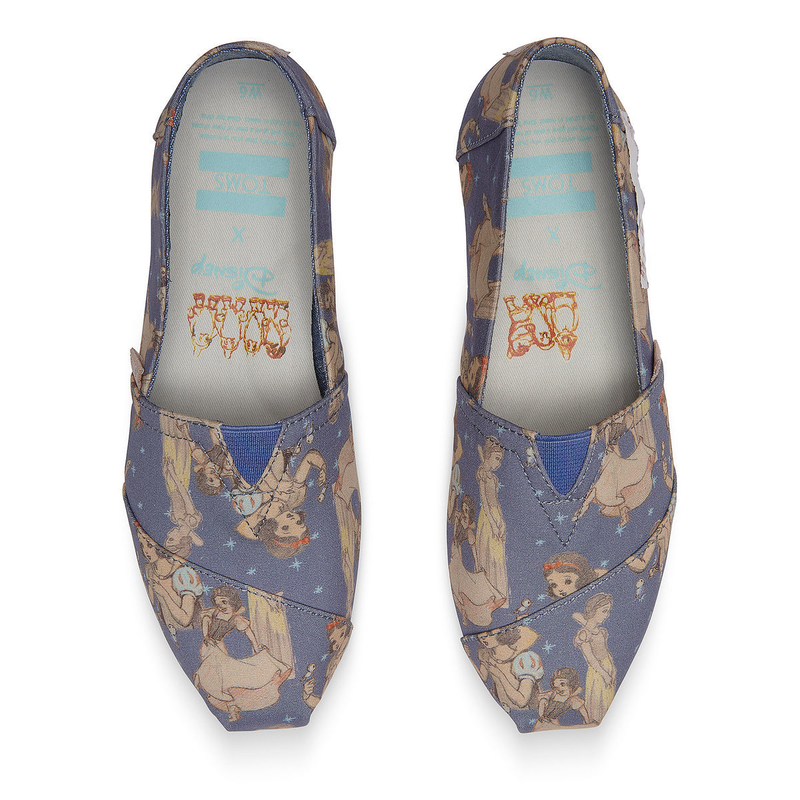 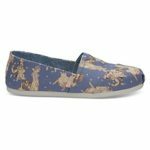 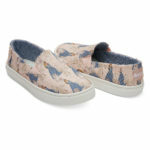 Disney X TOMS has added another princess to their lovely collection. 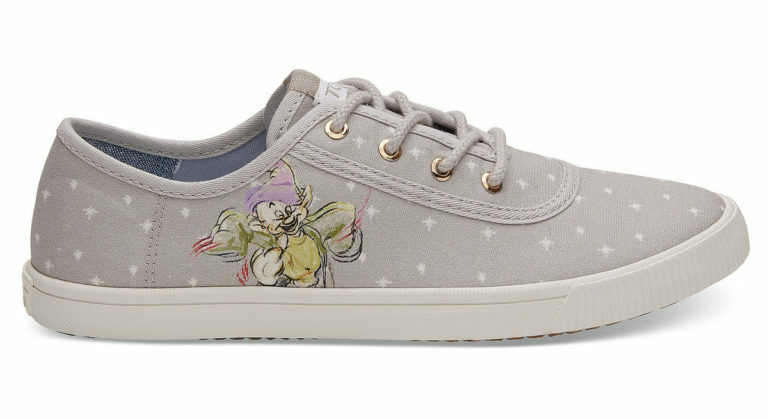 Snow White and two of her dwarf friends are the latest characters to grace the canvas shoes. 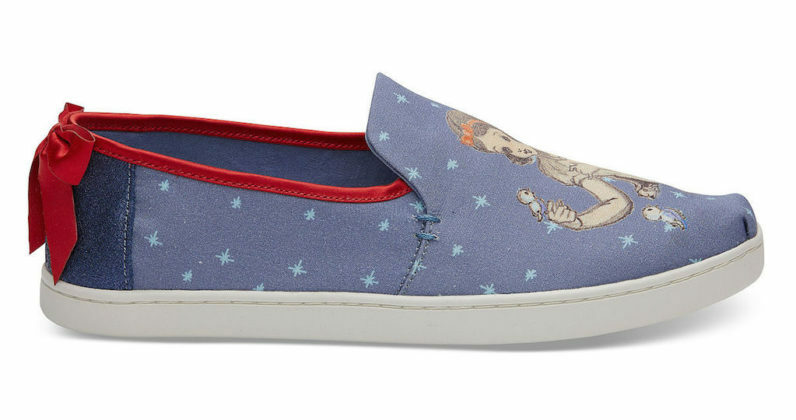 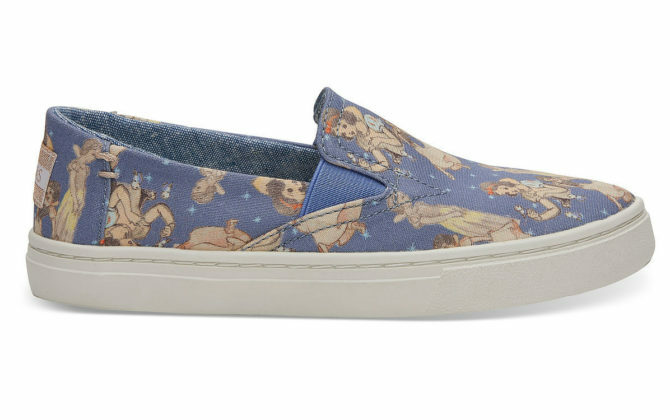 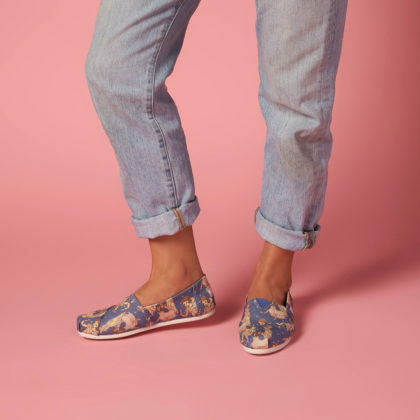 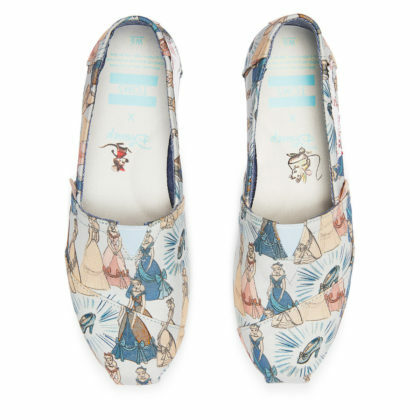 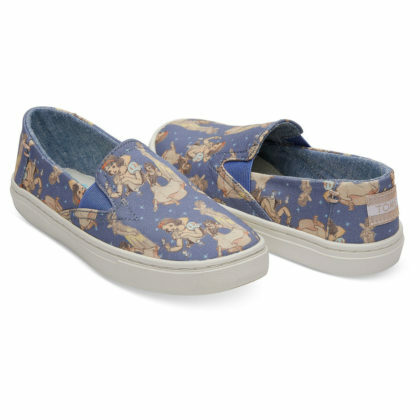 Disney’s first princess is the main focal point on these blue canvas shoes. 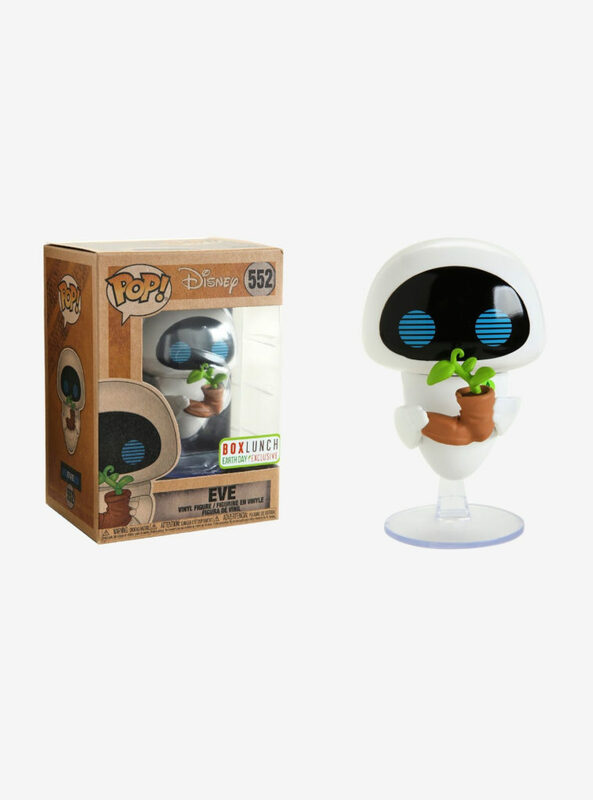 She can be seen in a variety of poses and her forrest friends even make an cameo! Fans of the classic film, will want to clear some space in their closet for this lovely pair of slip-ons. 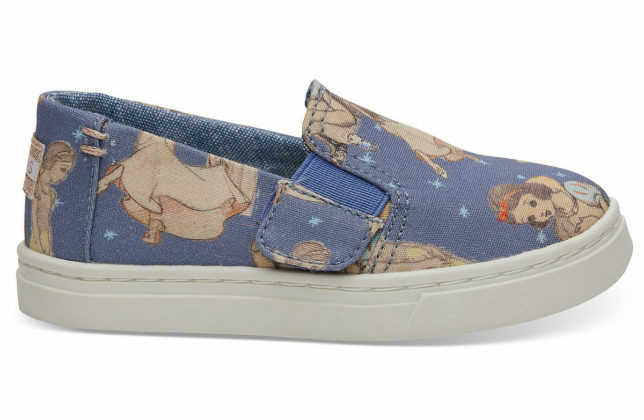 Sleepy and Dopey keep things light and fun. 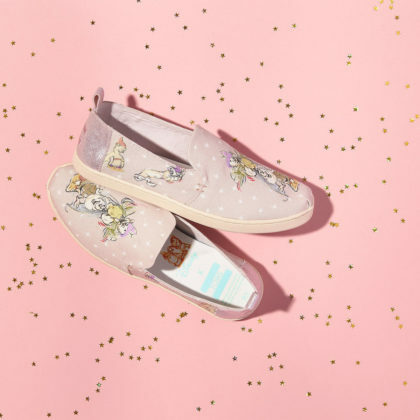 Hopefully they’re not a perfect description of your mood at the moment, but if they are, you know you couldn’t ask for a better duo. 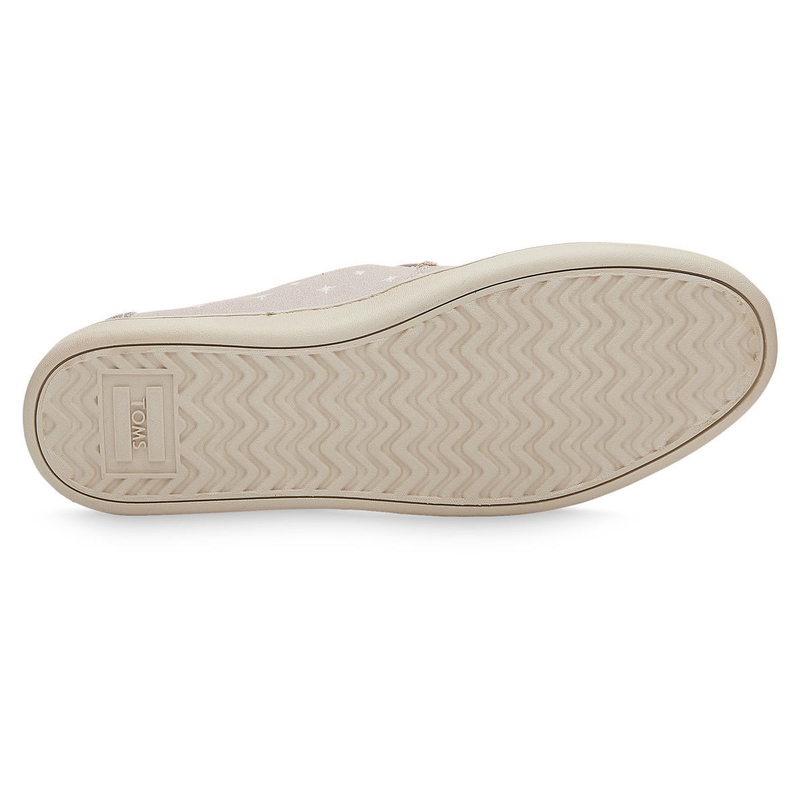 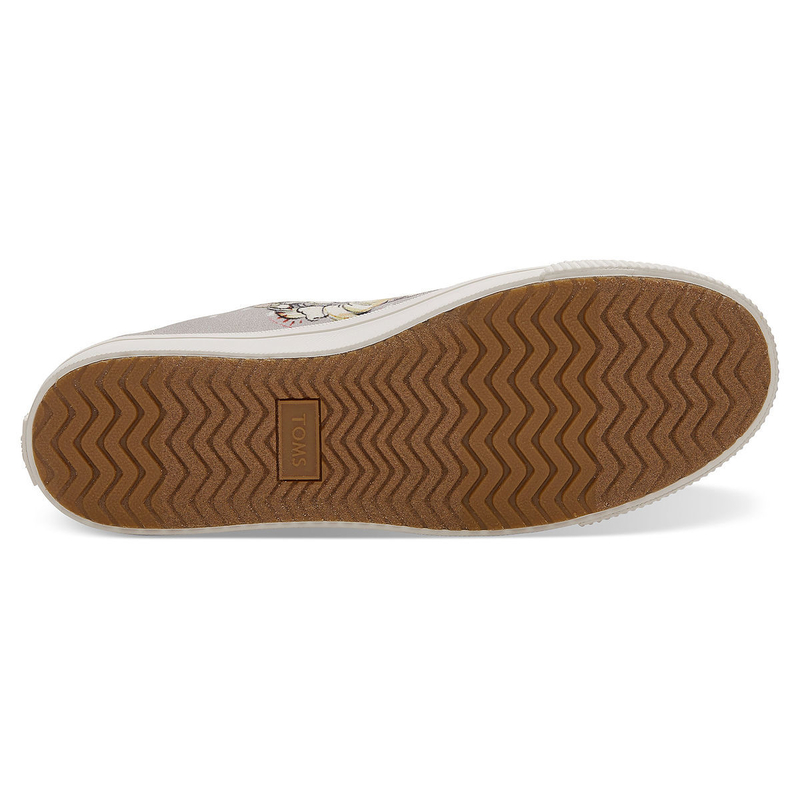 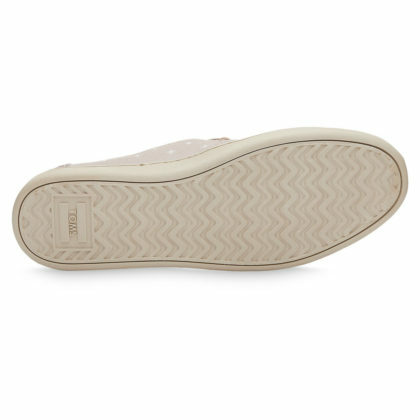 Durable and comfortable, TOMS shoes are perfect for kids. The dark blue color and classic style go great with the wide variety of outfits and activities your kids are into, and it doesn’t hurt that they’ll be showing off a pretty princess too. 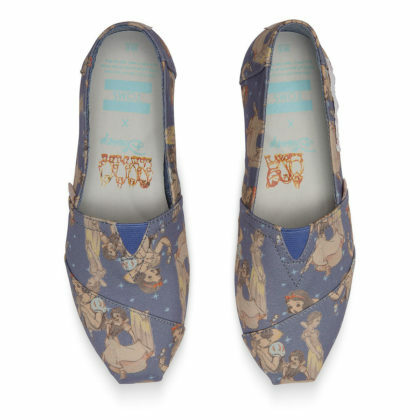 Want more Disney X TOMS? 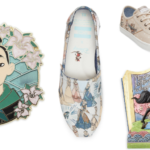 Check out their other collections are available now on shopDisney. 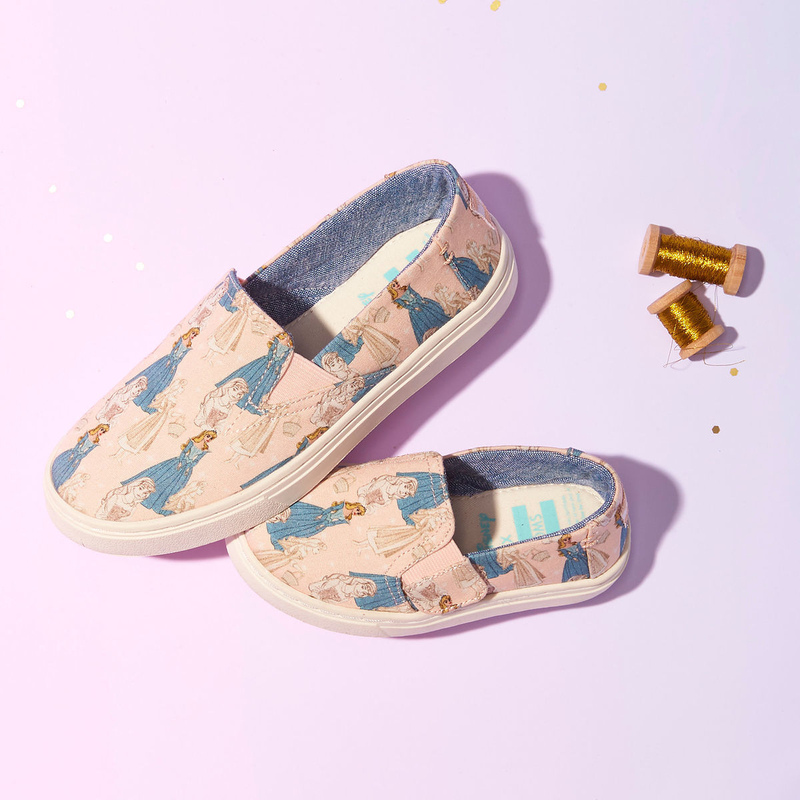 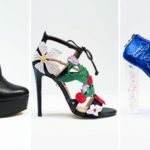 Featuring Cinderella and Sleeping Beauty, Disney’s first princesses are making quite the statement when it comes to comfortable footwear. 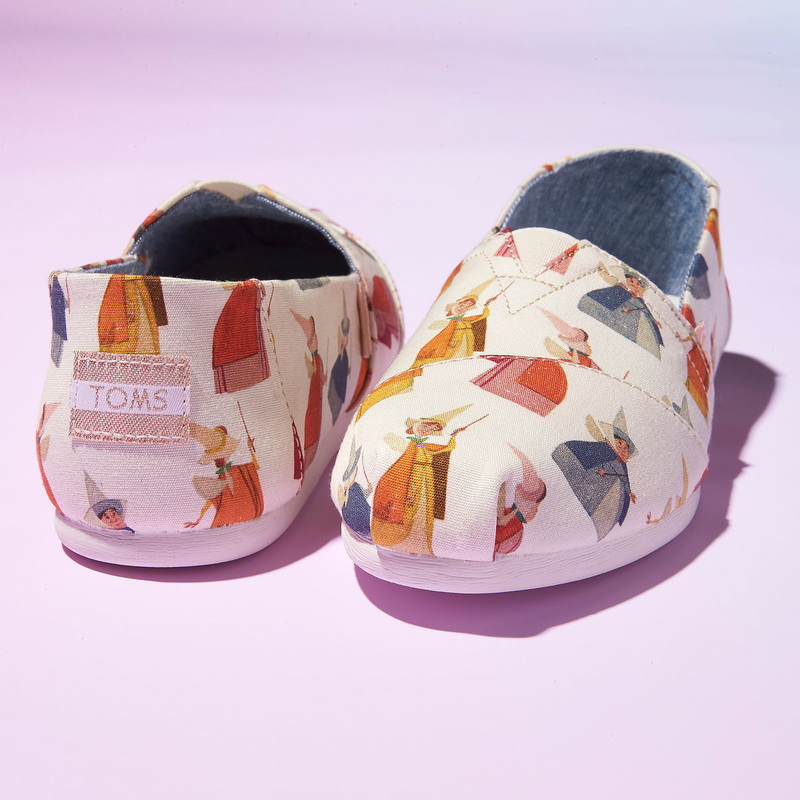 The Disney X TOMS Snow White collection can be found on shopDisney.